Of all of the poker hands that you'll find at online casinos powered by Realtime Gaming, Caribbean Draw Poker probably has the most complicated strategies compared to how relatively easy it is to learn to play. 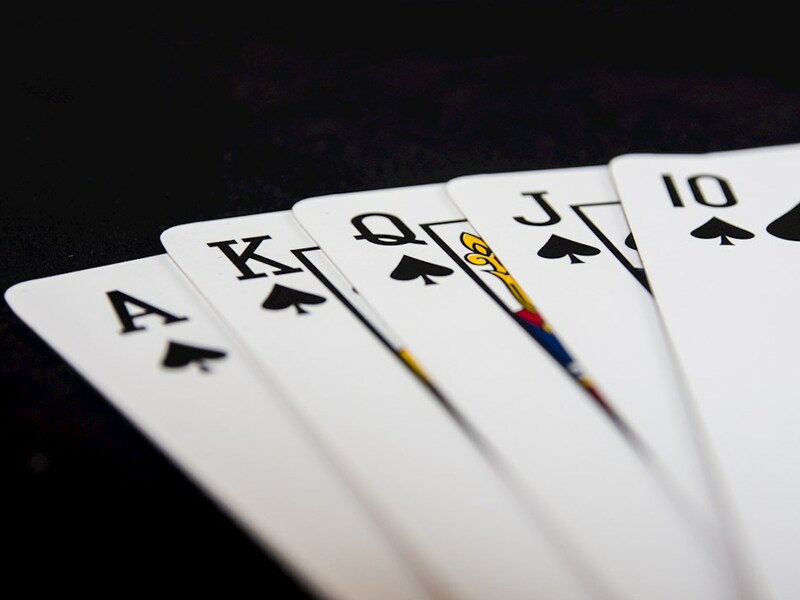 The premise is pretty simple: You're given five cards face-up after posting an ante, and the dealer is given five cards with only one face-up. You can fold or raise. If you raise, you add another bet worth twice the size of your ante, and you get to discard up to two cards. The dealer also gets to make discards, and then your hands are compared to decide a winner. There are complications on top of this, but this is the basic idea. One of the complications is that the dealer has to qualify by making at least a pair of eights for the hand to go to showdown (meaning your hands are compared to decide on a winner). If you put in a raise, and the dealer doesn't qualify, then you're going to get a 1:1 payout on your ante and have your raise bet just returned to you with no win or loss. If you raise, the dealer qualifies, and you lose, then you lose both bets. Finally, if you raise, the dealer qualifies, and you win, then you pick up a 1:1 payout on your ante, and the raise bet pays according to a pay table that gives bigger wins based on you having stronger hands (much like that of video poker or Let 'Em Ride). Something really interesting about Caribbean Draw Poker is that the very first decision you make, whether to raise or fold, is often the easiest. You should always raise with every single hand that you play, and folding is always a mistake. This is a bit of a trap bet to try to catch players who have experience with real poker where they are playing against other people since a good strategy in those games is to fold quite a bit before putting in more money. In Caribbean Draw Poker, however, this is a huge mistake because of the qualifying rule. The dealer is only going to qualify around half the time, so it makes no sense to fold since you have good enough chances to catch a couple of pairs to justify the raise even if you're dealt a trash hand like 23579 with no flush draw.